I am sure you will agree with me about the fact that Youtube really needed a change over. 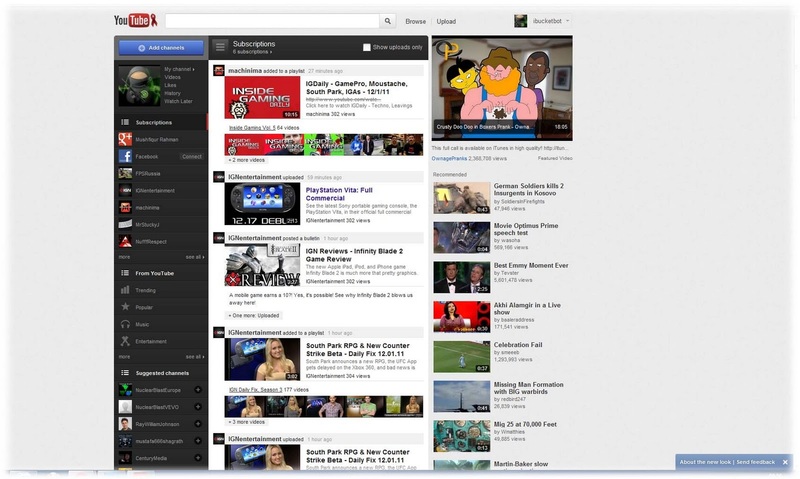 After Google redesigned its product pages it was time to do something with Youtube’s interface. Initially, the video page(where you watch the videos) was changed totally from the classic look to the modern one. It looked good but, as usual, the ads are annoying when they popup on the right side of the video. Today I noticed the home page totally changed ! According to the Google Blog, the new home page makes it easier for us to find and follow the Channels we want to. On the left side of the homepage we can organize the channels and put it the way we want it to be. Most importantly, we can even connect our Google+, Facebook, Twitter, Orkut and Myspace account to see what our friends and relatives are sharing. The whole point of this change is everything is now organized and we have the liberty to do what we want to. Apart from redesigning the homepage, Google updated the look and feel of the channels. 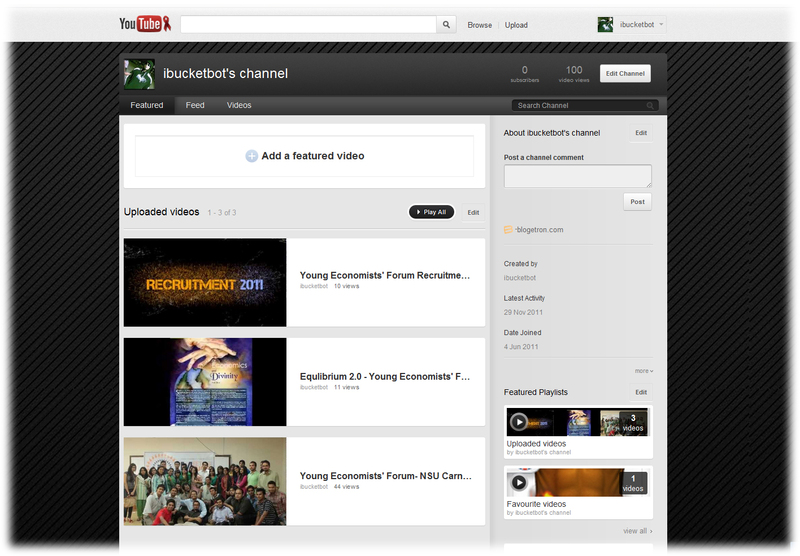 If you have your own channel, upgrade it to have the new design and see it for yourself ! I personally hated my channel because of its ancient design and looks. But through this change, I guess I’ll use youtube even more. Upload more videos and make it a video blog! Now if you do not like the new design, you have the option to change back to the old look! Just go to ‘Edit Channels’ and there you will find “Change Back to the old channels design’ I am pretty sure no one will do it ! I must say great makeover. This would enable more people not only watch videos here but also encourage them to upload their videos! The look might change because this is just in beta and Google is now relying on Feedback! So do leave a feedback about the new look! Check out the video below regarding the change! Well, I did not get why many people disliked the video ! It’s all good! Drag and Drop with Castle.so without any hassle! New one is nice one, thanks for the info….. I agree, youtube definitely needed a change, everyone's complaining now though- i'll have to say it's hard to adjust, but it's all good..didn't know about all the new additions..thanks to you now i do! 😀 great post! Yea, after a long decade youtube changed their design and layout. Now I feel like staying in youtube all day long. Thanks Stacy! Well I guess people thought the new youtube looks like the one shown in the video but that was just an example!